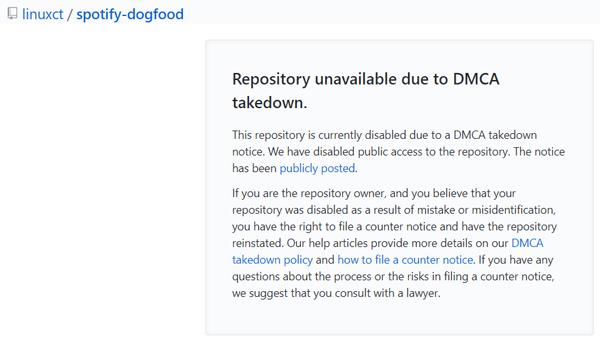 Dogfood is done on Github The full takedown notice can be found here. It lists Dogfood itself plus a whole bunch of ‘forks’ which have also been taken down by Github. 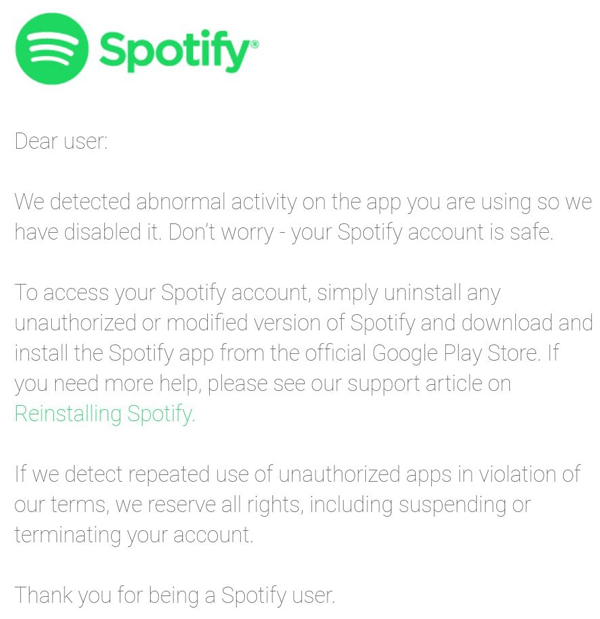 XDA DMCA takedown For now it seems that Spotify is playing nice, at least with users of modified apps. 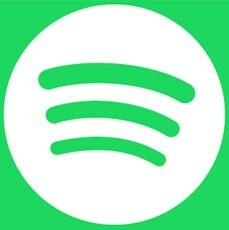 Whether it will continue with the same relaxed attitude is unclear but it’s hard not to connect the move with its intention to go public and its $23bn valuation.